Over the next few months, we here at Laughing Place will be looking at various parts of the Pixar brand to gear up for the release of The Incredibles 2, the opening of Toy Story Land and the beginning of Pixar Fest. I will be focusing more on Pixar attractions within the parks, similar to my extinct attraction series. So without any further ado, let’s take a look at today’s featured attractions. As you probably know, the first Pixar film, Toy Story, was released on November 22nd, 1995. Toy Story was the first ever completely computer-generated feature film of all-time, and that innovation led to box office success as the film went on to become the highest-grossing film of 1995 both domestically and worldwide. 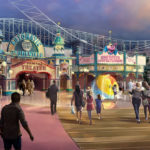 Toy Story is undoubtedly the most successful Pixar franchise, having spawned themed lands in what will soon be four different Disney Parks around the world. Additionally, there is also the major E-Ticket attraction,Toy Story Mania, that has a home in three different Disney Parks around the world. But today, we are going to shift our focus to the first Pixar attraction to make its way into the Disney Parks. Because of the success discussed earlier, Toy Story was a perfect fit for the Disney Parks, so naturally the Imagineers got to work on it. On November 3rd, 1998, Buzz Lightyear’s Space Ranger Spin opened in Tomorrowland in the Magic Kingdom. Replacing the attraction Delta Dreamflight, Space Ranger Spin used the same track layout as the previous attraction, but it added guns that guests would use to shoot targets in an effort to defeat the Evil Emperor Zurg. I’m going to be honest: Buzz Lightyear’s Space Ranger Spin is my least favorite Disney attraction of all-time. It is old and in a desperate need of a refurbishment, there is no rhyme or reason to the targets, and you can’t even remove the gun. The only reason that I can partially excuse the attraction is because it was the first one, so it deserves a little bit of slack. However, there is no reason the attraction hasn’t gotten a refurbishment yet to be brought up to the quality of its sister attractions. It’s popular enough in the Magic Kingdom to justify the changes. (How? I have no idea.) But Buzz Lightyear’s Space Ranger Spin was the first of its kind and brought Pixar into the parks, including to international resorts as well. 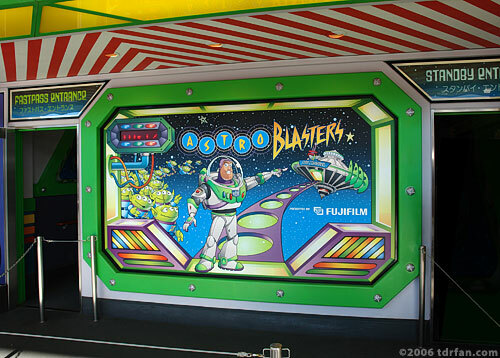 Now that we’ve seen the original one, let’s move over to Tokyo Disneyland, where on April 15th, 2004, Buzz Lightyear’s Astro Blasters debuted. 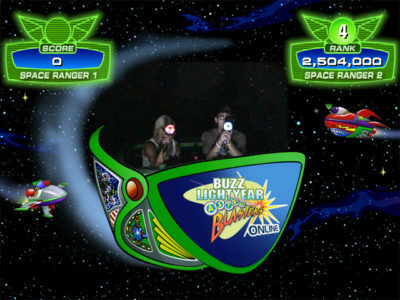 Replacing The Timekeeper, you could tell that Astro Blasters was a major step up from Space Ranger Spin because you could now remove the guns and know the value of each target. Now, if you like the Tokyo Disneyland one, then you are going to love the version at Disneyland that opened on March 17th, 2005. Needless to say, as someone who grew up going Disneyland, this version is easily my favorite, and I don’t know if anything would ever be able to change that. You can say that I’ve had a bit of success on the attraction, with a Level 7 percentage of about 50% recently. I’ve got the attraction down to a T, and I would say that it’s in my top five attractions at the Disneyland Resort (though if I get a bad score, I can move to the bottom five). Disneyland’s version is nearly identical to the Tokyo Disneyland version, with Disney having learned from the mistakes of Space Ranger Spin. Disneyland’s Buzz Lightyear Astro Blasters had a couple cool bits of history behind it, starting with it taking over the queue of the Rocket Rods — a move that was definitely for the best. But the really awesome part of the attraction is that there was briefly a version where guests would team up with online gamers to score higher as the online individual would briefly light up targets. eventually, that cool ability went by the wayside, though the lighting up of targets continues today as a way for guests to score 10 times the target’s value. 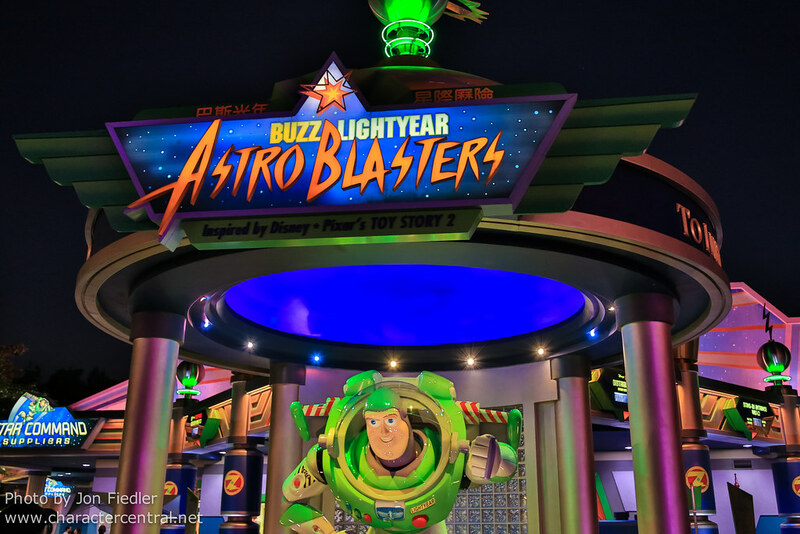 Moving back across the globe, Hong Kong Disneyland’s Buzz Lightyear Astro Blasters was also nearly identical to the versions at Tokyo Disneyland and Disneyland. Opening on Hong Kong’s Disneyland’s opening day, November 12th, 2005, this was the third Buzz Lightyear attraction to open within two years. Hong Kong’s version is noteworthy because it is the only one of these attractions to have already become extinct. It closed on August 31st, 2017 to make way for an Ant-Man attraction that will be part of the Marvel expansion coming to the park. Luckily, we still have nearly identical versions around the world. Plus, the Ant-Man attraction will also be a shooting gallery attraction, and the concept art looks fantastic. Continuing our global trek, we now journey to Disneyland Paris, where Buzz Lightyear Laser Blast opened on April 8th, 2006, continuing the trend of adding Buzz Lightyear attractions to each resort. The attraction replaced The Timekeeper in Paris as well but was a more fitting tribute with 9-Eye being added to one of the scenes. 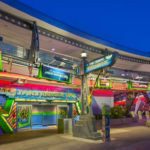 Paris’s version was also nearly identical to Tokyo, Hong Kong, and Disneyland, but that trend is finally going to change with the next version of the attraction. Buzz Lightyear Planet Rescue opened along with Shanghai Disneyland on June 16th, 2016. Planet Rescue had a completely different look than any of the other Buzz Lightyear attractions, focusing more on the look of the beginning of Toy Story 2 than any of the other versions of the attraction. 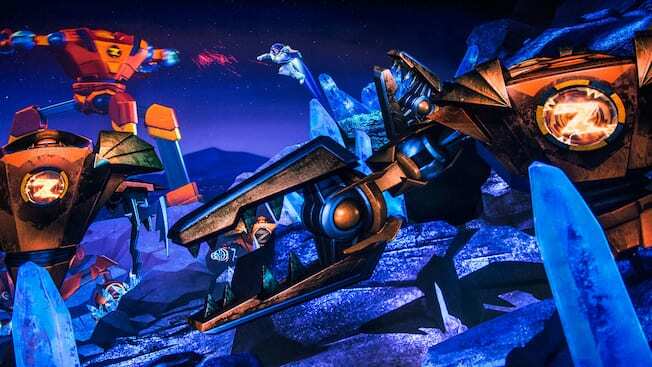 I personally didn’t watch the ride through of Planet Rescue to avoid spoilers, but just from the few pictures I’ve seen, it looks really awesome and I’m very excited to get to experience it one day. In addition to the appearances in the Parks discussed today, Buzz even made his way into the now-closed DisneyQuest. I’ll go into a lot more detail when I one day get to discussing DisneyQuest, but if you wanted to check it out in advance, you can watch it below. Before I close out, there are a few more things I wanted to discuss that I thought were pretty cool about the Buzz attractions. First, it was interesting that guests were able to control the direction that their Omnimover was facing. Few attractions give that type of freedom to guests, so I think that added an extra element to help the attraction stand out. 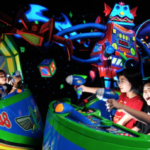 These Buzz Lightyear attractions also brought the shooting gallery attraction to life. Today, the shooting gallery attraction has a huge correlation with all things Toy Story between Buzz Lightyear and all the Toy Story Mania attractions. It is such an immersive type of experience that I’m glad it is able to be such a huge part of the Disney Parks fun. Overall, the Buzz Lightyear attractions were some of the coolest attractions to ever enter the Disney parks, especially when they first opened. 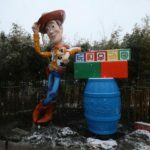 They set an awesome precedent for what Pixar attractions would be like in the parks, so be sure to keep an eye out for future Pixar-themed articles as we look forward to the opening of Toy Story Land.